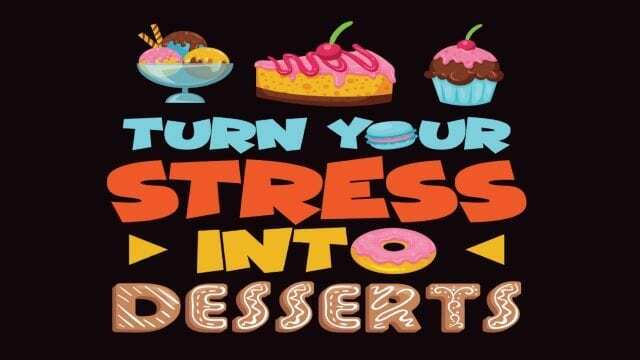 Savvy Turtle Turn Your Stress Into Desserts: Turn Your Stress Into Desserts Funny Gift T-Shirt. When you get stressed just think about desserts. Grab a dessert and this shirt and relieve some stress in your life. Add humor to your everyday look in this hilarious gift tee. Makes a funny gift for anyone who likes cupcakes and sweets. Makes an excellent Christmas or Birthday gift for those with a great sense of humor. Released in November 2018 on Amazon and has been trending since as an Amazon Best Seller., Before the release in November 2018 we conducted a double-blind Secret shopper in May with 12 variations to this Savvy Turtle design and only the top four made the cut the remaining eight went into our archives.